FESTIVALS have burst into life in Andalucia’s streets, signalling the start of spring. 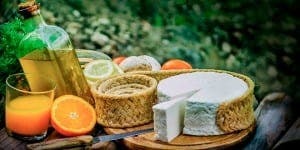 Following the recent success of Malaga’s Gastronomy Festival, which brought thousands of foodies to the city, Chloe Glover has compiled a guide to some of the best free to attend upcoming foodie events in the area. 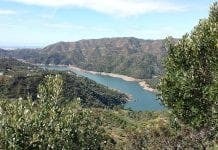 Read on to find out where to find the best delicacies and enjoy a tipple in the heat of the Spanish sun. 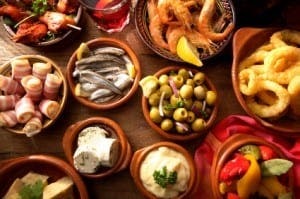 Eat your way around the town at this nine day long event, where a host of local bars offer up their signature tapas dishes for only 2 a plate. Savour the delights of a freshly squeezed orange juice at this cute village fair. Traditional recipes will be served up by local groups, including homemade marmalade, while bars and restaurants will test their creative skills with citrus-inspired specials. 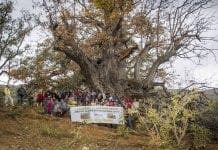 Other centuries old dishes such as corn soup with clams and zahinas and rice pudding will also be on offer, while traditional dance groups and brass bands will add to the celebration feel. A market selling artisan products will also run. Witness the spectacular sight of herds of animals streaming down the streets as Esteponeros celebrate the town’s patron saint of San Isidro Labrador, saint of the farm worker. Head to the beach or one of the many stalls to feast on vegetable campera soup and bread, the festival’s staples. Enjoy many a tipple in the sun at this beer lovers’ delight. 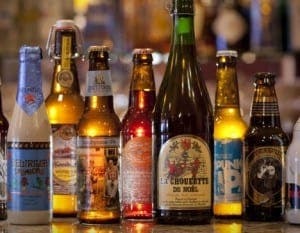 Fifty different types will be on offer over the days, which will be served to a soundtrack of live music performances. Family activities will also be on offer. The red wild tuna is a speciality of this town and is renowned throughout the world. Sample it fresh off the boats in the town’s restaurants and bars, which which are offering tapas plates for 2 euros and accompanying drinks for 1. Taste the world at Gibraltar’s first major food event of the year. 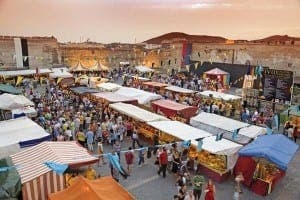 Cooking demonstrations, market stalls, a tapas route and live music performances promise to give visitors a weekend to remember. Every May, Riogordo’s residents invite visitors to try their local speciality, snails cooked in a broth and served with olives and local wine. A street parade, live music and dance performances and a livestock fair will also take place during the event. The first festival of its kind for Cordoba will bring together chefs specialising in a wide variety of international cuisine. 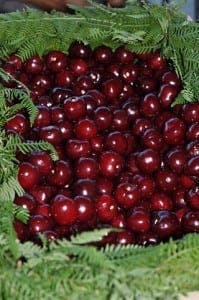 It is hard to beat the taste of a sweet cherry, which grow in abundance in this small village. Visit to buy large punnets at great value prices and taste cherry products along with other locally-produced foods. Sanlucar’s feria is made even more attractive thanks to the plentiful presence of its very own tipple, manzanilla, a light, dry sherry, which is only made in the town. Wash down the town’s similarly famous Sanlucar prawns with a glass or two in the sunshine. 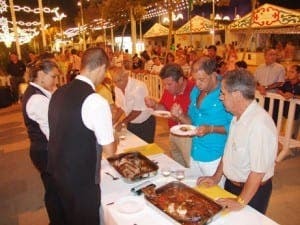 Smells of locally-produced delicacies mingle in the air in Rota, whose event celebrates the wealth of culinary talent in the area. Check out the dishes on sale from the many casetas and watch judges put budding chefs to the test in various food challenges. Raise a glass to this simple but delicious Andalucian staple, which finds even more fans than normal in this Axarquian pueblo. 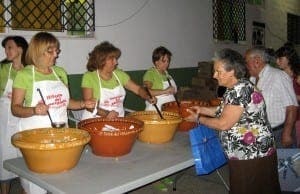 Residents come together to cook up huge pots of the soup, which are then doled out to hungry revellers. The biggest party in Malaga province is undoubtedly its week long feria in August. Crowds flock to taste wines and tapas in the historic centre, while live music and performances take place throughout the streets. Almost 50 food stalls will converge on Casemates Square to showcase the talents of chefs from near and far. The 11th year of the event will feature a wealth of multicultural cuisine and local Gibraltarian delicacies such as the beloved calentita, a chickpea flour dish which is a cross between a dough and a flat Yorkshire pudding.